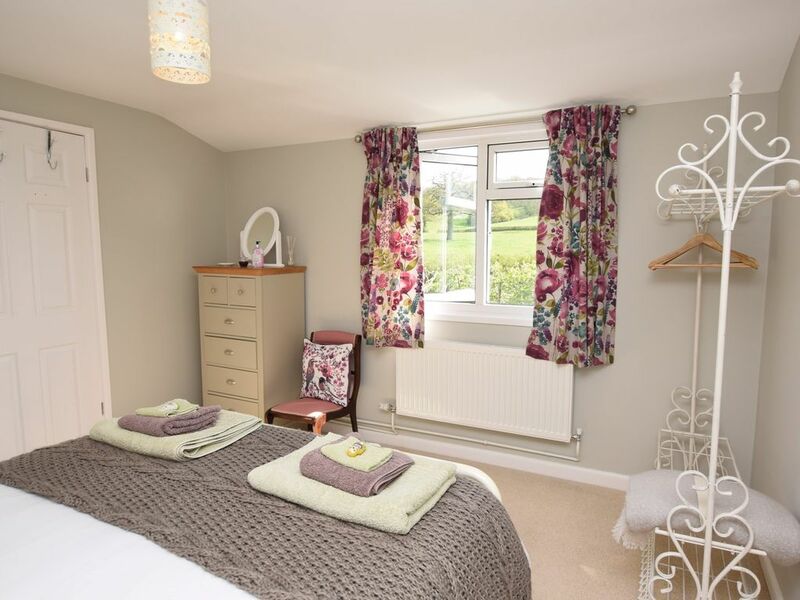 Set within the heart of North Dorset this contemporary converted property offers views over surrounding fields making it the perfect spot for walkers and nature lovers alike. Conveniently located near both Tisbury and Gillingham railway stations the property is ideally situated for touring the local area by rail or by car. The town of Shaftesbury is a stone s throw away which is home to the iconic Gold Hill made famous by the Hovis adverts and it has a good choice of pubs cafes shops and restaurants as well as the historic abbey making it the perfect place to spend a relaxed afternoon. Heading south is the stunning Jurassic Coastline which provides the ideal backdrop for walking cycling and all manner of outdoor pursuits. On entering this attached former farm building you are met by a bright and airy open-plan lounge/kitchen/diner decorated with care in muted tones. The stylish kitchen area is well-equipped with a gas oven and hob fridge microwave and washing machine. An open archway leads you into the cosy lounge area which offers a TV and DVD and has beautiful views over the fields making this the perfect place to relax and unwind after a day spent exploring this picturesque area. Adjacent to here is a contemporary shower room which has a shower and WC. Heading back through the lounge is a spacious and inviting king-size bedroom again with lovely views. Amenities: Free WiFi included. Venturing outside you will find a generous gravelled courtyard with garden furniture pretty climbing plants and a BBQ. Easily accessed from the lounge/kitchen/diner it s the perfect spot for enjoying a meal outdoors. There is ample off-road parking within the farmyard surrounding the property.